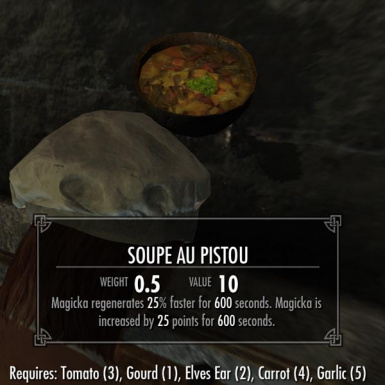 Adds new Breton-style recipes that are more complex, powerful, and visually appealing to make player-cooked food competitive with the homecooked meal. Includes new original artwork. 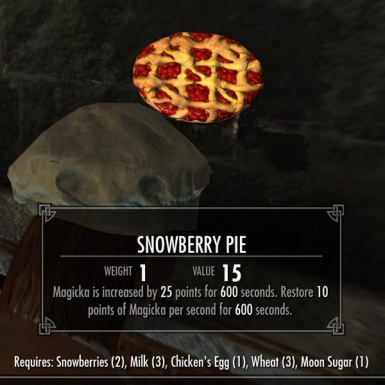 No permission is required for you to use the items I created in your own modding work, but please give credit as appropriate. Feel free to use the meshes and textures as modder resources. The More Complex Needs Compatibility Patch was created entirely by Imp of the Perverse. 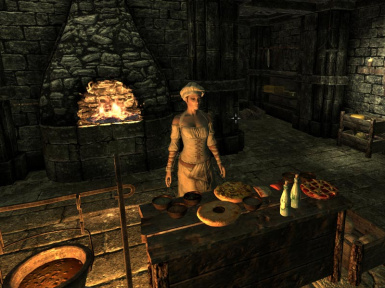 The Gourmet has spread an appreciation for fine Breton cuisine throughout Skyrim, but the vanilla game doesn't allow for much creative cooking. 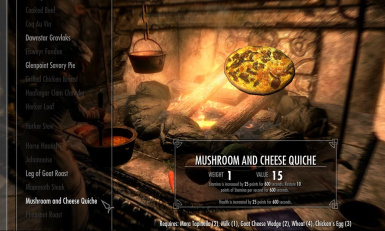 This mod adds a variety of new dishes that are balanced to make cooking a strategic option. Dishes are far more useful than other cooked foods, and more in line with the power of the homecooked meal. However, assembling the required ingredients will also be more difficult than just finding a meat and adding salt. 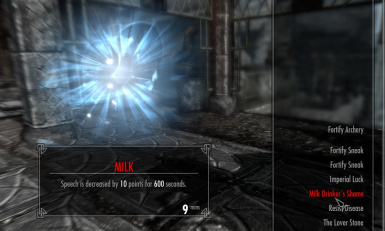 There are 3 versions of the mod, depending on how powerful you want the effects to be. There are two patches I know about. 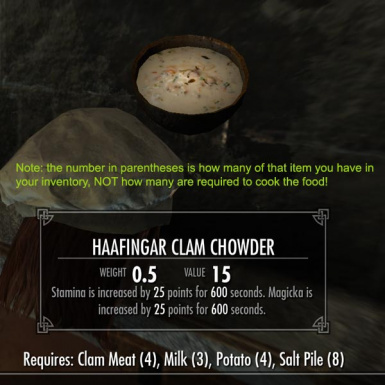 You can find the patch for IMCN (Imp's More Complex Needs) here, under this mod's file list. 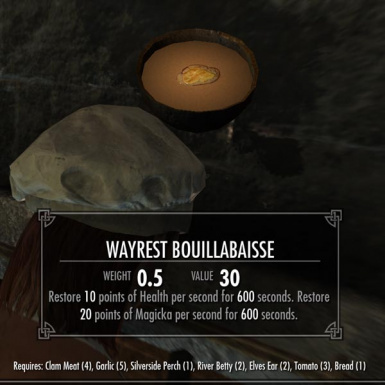 You will need to get Babette's Feast itself to get the necessary resources, but you should activate the patch .esp instead of the Babette's Feast .esp file. 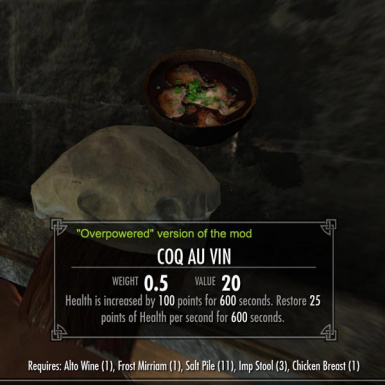 The patch for Realistic Needs and Diseases is there, on the list of files for that mod. 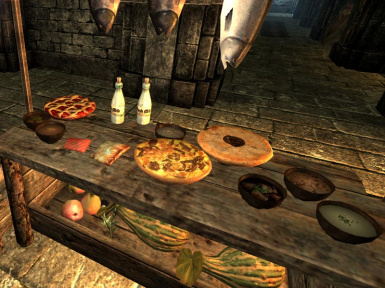 You will still need to get Babette's Feast AND keep the Babette's Feast .esp active for it to work correctly. If you're doing this manually, extract all files into Skyrim's Data folder (for me, that's under C:Program Files (x86)SteamsteamappscommonskyrimData). If you already have existing meshes and textures folders, click Yes or Yes to All when it prompts you whether you want to copy the files into them. Once you unpack the files, verify that the mod is activated by selecting "Data Files" from the loader screen, and ensuring that "BabettesFeast_____.esp" is checked (where ______ is which version you are using). Please do not try to run multiple versions (eg BabettesFeastOverpowered.esp and BabettesFeastWeakerEffects.esp) simultaneously. 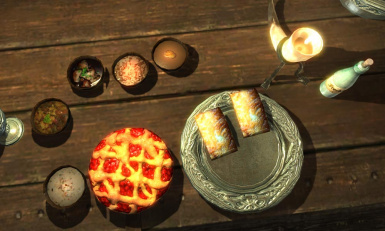 If you're using the More Complex Needs Compatibility Patch, then you do need to get a main version of Babette's Feast so that you'll have the correct meshes and textures, but don't enable that .esp file--only use the IMCN .esp file.